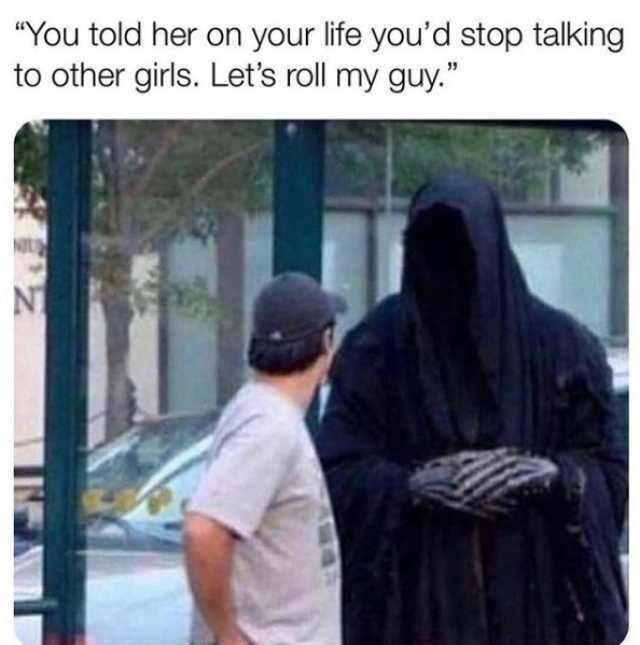 dopl3r.com - Memes - You told her on your life youd stop talking to other girls. Lets roll my guy. You told her on your life youd stop talking to other girls. Lets roll my guy.